With an estimated 12,000 species on the planet and a history that predates the Dinosaurs, ferns may just be the luckiest plants alive. Having survived over 360-million years of evolution, they are still among the most beautiful and resilient foliage plants. 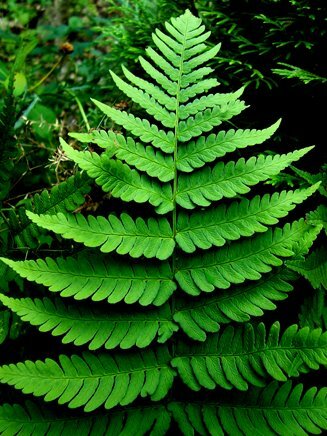 They are found in every continent, except Antarctica, and vary greatly in size - from the gigantic tree ferns of New Zealand (Cyatheales) to the tiniest of rock ferns (Polypodium virginianum) found in dryer, cooler climates like Northern Canada. Since living on my own, however, I have always had a fern, and I probably always will. They're just the classic houseplant and I'm a sucker for their elegance. At the family cottage all kinds of ferns grow in the woodlands. I'm an admirer of these wild, Ontario species, too - especially the maidenhair. THE LIFE OF A FERN: The unusual spawning methods of ferns hint at their resilience. Fern fronds fan out from a root structure that germinates from spores shed by fertile adult plants. Tiny pods called sporangia form under the leaves, sometimes in clusters called sori. These pods contain the spores that will allow the fern to reproduce. The spores will fall to the soil below and, given sufficient levels of moisture, will form into something called a gametophyte – a fern’s embryonic stage. The gametophyte will then fertilize itself and develop into an adult plant. One of the reasons ferns are so successful and occupy such diverse regions of the globe is their ability to reproduce in multiple ways. The gametophyte – or embryonic fern – does not necessarily need to fertilize itself to grow into a fully grown fern. A process called apogamy sometimes allows the gametophyte to grow in drier areas where a lack of moister prevents fertilization. Ferns can also spread from their root structures (rhizomes) or from the tips of any stems that happen to be touching moist and energy-rich soil. My favourite Maidenhair fern, which grows at the entrance to our cottage laneway. Each stem carries several fronds, which branch out like little helicopter propellers. 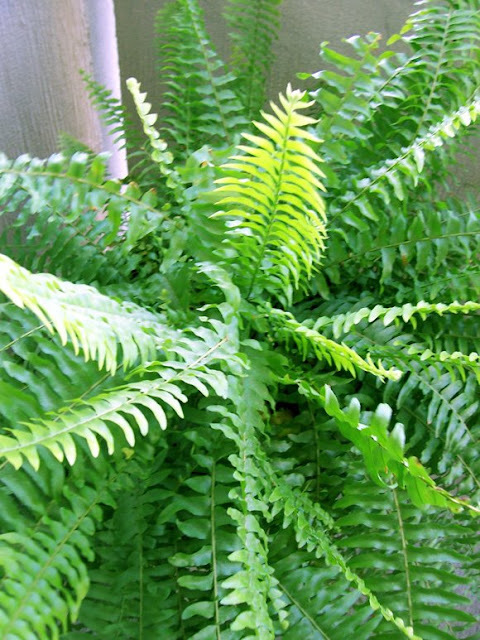 Ferns are niche plants, meaning they grow only in particular habitats. Damp patches of mulched earth under filtered sunlight are the ideal growing conditions for ferns. The soil must be loamy and moist, protected from dehydrating factors like direct sunlight and wind. Ferns commonly grow near fresh water (creeks, riverbanks, lakeshores) or in highly humid areas, such as under a forest canopy where they are sheltered from dryness and too much light. Of the 150 kinds of ferns that grow in Ontario, the most common ones surrounding our cottage include the Marginal Shield Fern (Dryopteris marginalis) which is a relatively large plant with silvery leaves and very pronounced sori on the undersides and the rock fern (Polypodium virginiadum) which is defined by its tiny fronds and cramped living quarters on the rippled shoulders of large rocks. A beautiful Ostrich fern frond, down near the lake. They are the most common ferns around the cottage and easily propogate themselves. 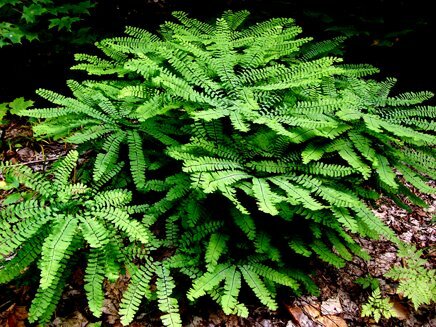 As mentioned, my personal favorite is the maidenhair fern (Adiantum pedatum) which looks like a cluster of helicopter propellers or verdant fireworks emerging from shadowy spaces in the open forest. Oak ferns (Gymnocarpium dryopteris) are another unwavering staple of the forest floor, almost floating like parasols hung from tall stems above a mulch of fallen leaves and moss. Fiddlehead ferns or Ostrich ferns (Matteuccia struthiopteris) are perhaps the most common in Ontario gardens but are actually rarer in woodland locations. These ferns prefer more sun than others and their soil slightly less moist. Since the growth around the cottage has very few flowering plants, I opt to arrange fern fronds instead, clipping a few stems to make a green statement. I'm always possessed by the spirit of Martha every time I arrange any sort of flower or greenery. If it's not good enough for a room in Lily Pond or Skylands, it's not good enough for our little cabin. In the photo above I used my Maidenhair and put a long Marginal Shield fern frond in as a sort of "feather in the cap" finale. If all you've got is ferns or greenery outdoors, beautiful arrangements are still a viable option. 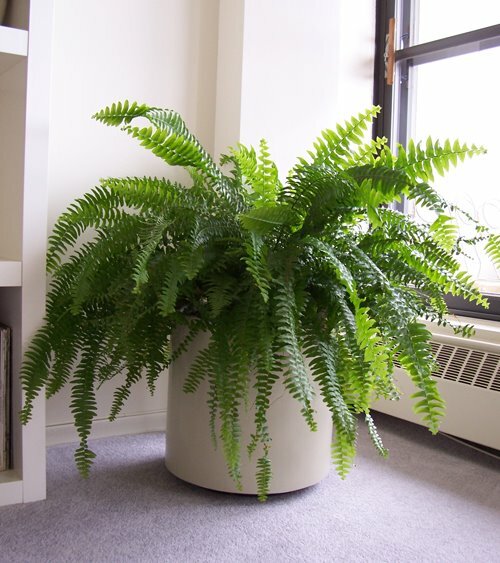 Indoors, I also love the Boston fern. It can grow very large and they're relatively easy to care for. 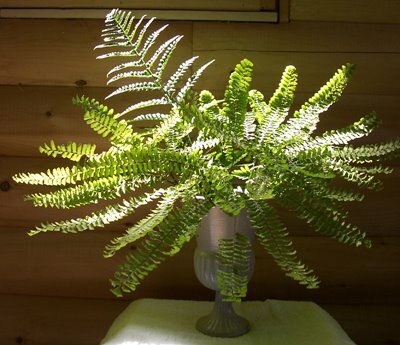 The three keys to remember when caring for ferns indoors are bright light, porous soil and even moisture. They do not like direct sunlight. They can tolerate a few hours of morning or afternoon sun, but that's about it. The rest of the time, they like bright, indirect light. They would be ideal in an East or West window. The soil should be a mixture of peat and soil with a layer of small stones or pottery shards at the bottom of the pot to ensure good drainage. The soil should always be evenly moist. Never let the soil dry up between waterings, but don't over-water it either. I usually water twice a week and mist the leaves. Feed sparingly every six months. If you're going to repot, it's best to do it in the fall. I plan to repot mine next month, as it's growing too big for its current container...lucky survivor that it is. My Boston fern resides outdoors all summer in a semi-shady spot on the balcony. I love it when the breeze catches some of its foliage and it makes that whispery hiss. I just feel instantly relaxed. In September I replanted the fern in a bigger pot and brought it indoors. The container was salvaged from a 1969 office building slated for demolition. Since my apartment building was built in the same era, I thought it brought a nifty retro-modern element - not to mention plenty of room for the fern to grow. My house has thousands of ferns under the dappled shade of the lindens.They have been growing there all on their own for years.I could pick some for an arrangement every couple of days all summer long,and the grounds still wont be denuded.I also have a Boston fern that I bought at the local grocery store 4 summers ago.Its huge.And this past spring I put it in a reproduction resin urn the size of a large trash can that resides beside my front door.I must say its stately.But they are fool proof! I may have to move the sofa out come this winter to make room in the front parlor. I'd love to see your big Boston, Joseph, as well as some of your linden-shaded varieties! Don't hesitate to take a few photos and send them to me. With your permission, I'll put them in my post. Wow, what an interesting blog today. Thanks for the info. Unfortunately I don't seem to have much a green thumb when it comes to indoor houseplants, and have better luck with outdoor plants and flowers. However, maybe I will try one of these. They are beautiful. You should try one, Maureen. And never feel like a failure if it doesn't work at first. I think raising houseplants takes practice. For Boston ferns just remember bright, indirect light (no full sun, but not too dark either), well-draining soil and keep the soil consistently moist, but not drenched. You can mist the leaves every few days too. Other than that, it takes care of itself!